When Dr. Eugenio Sierra moved back to Pensacola with his family from Ft. Marcos in 1805, they were living on Zarragossa Street on property that Dr. Sierra had been buying over the past few years. According to Leora M. Sutton, the building was built during the British period. When the Spanish took over Pensacola, it was used as the residence for the Intendant (royal treasurer, in charge of the public funds). Only one Intendant lived in the house, Juan Buenaventura Morales, and in 1813 the house was up for sale. Dr. Sierra purchased the house which sat on the corner of Intendencia and Jefferson Streets. Leora M. Sutton describes the house in her unpublished manuscript "Sierra" as having a large, two-room kitchen with a central fireplace and a large cistern. The kitchen was separated from the main house by a short runway. The main house, which was one and a half stories, was built flush to the sidewalk. A set of stairs on the outside led to the family quarters while an office under the porch was used by Dr. Sierra for his private practice. A French guillotine, purchased in New Orleans, was placed on a solid brick foundation and was used by Dr. Sierra for amputations. Amputations at the time were done without anaesthetics and could be messy and time-consuming. A guillotine was quick, clean and less painful. In his will, Dr. Sierra left the house to his daughters, Irene Morrison and Isabella Brosnaham. Irene, married to a military officer and moving frequently, and Isabella, with a house of her own, decided to sell the property. 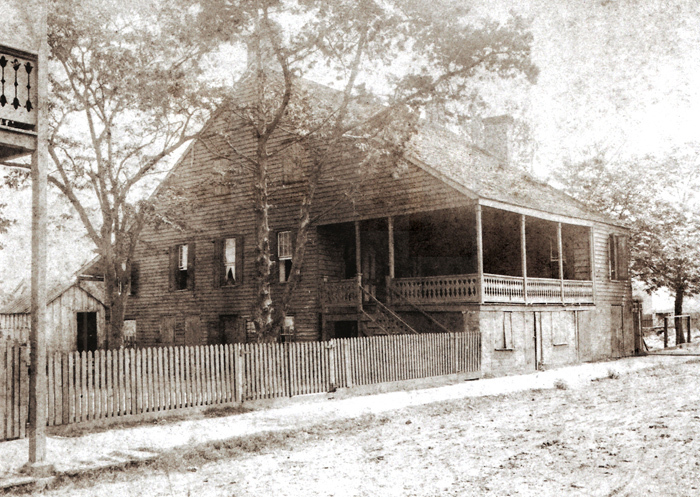 According to Leora Sutton, the house was turned into a small hotel and later torn down. Photo of the Sierra home courtesy of Viola Upchurch, a descendant.